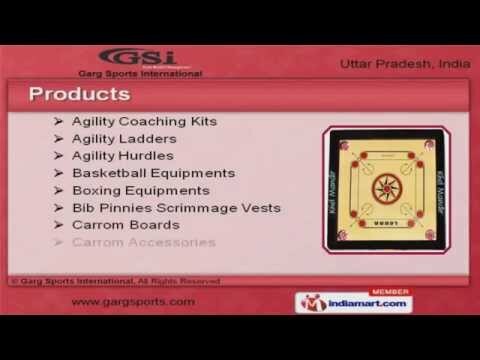 Welcome to Garg Sports International. Manufacturer & Exporter of Sports Goods and Accessories Incepted in the year 1999, at Meerut, We are an ISO 14001:2004, 9001:2000 & 2008certified company. We are a Member of SGEPC, CCAI & SGMF. Attractive design, reasonable prices & Expeditious delivery schedules make us the firstchoice of our clients. We offer a vast range of Agility Coaching Kits, Ladders & Hurdles. Cricket Bats, Balls & Helmets offered by us are a class apart. Our Fitness Equipments & Goal Post are widely acclaimed in the market. We also provide Rugby Equipments & Snooker Tables that are some of our best sellingproducts. Along with that we offer Skipping Rope & Jump Ropes that are cost effective. Our Table Tennis Equipments, Trolley & Carts are in huge demand across the globalmarkets.